It is no secret that non-dairy frozen desserts have grown in popularity. 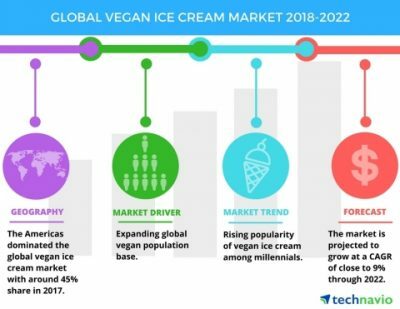 Only a few years ago, consumers had to visit specialty grocers for a vegan option, whereas now there is an abundance of brands to choose from providing low-calorie, high protein, and dairy free frozen desserts. Packaged Facts’ new report Ice Cream and Frozen Desserts in the U.S., 9th Edition projects that total sales of ice cream, other frozen desserts, and frozen novelties, including both retail and foodservice, will increase from close to $28 billion in 2016 to over $29 billion in 2020, a compound annual growth rate (CAGR) of 1.3%. There are many reasons for this shifting market trend. Globally, the vegan population is expanding, as well as a large demographic of millennials looking for clean label ingredients and a better understanding of their diet. Lower-calorie, high-protein ice cream’s trajectory is expected to continue because 33 percent of U.S. frozen-treat buyers want to see more functional benefits. All of the options can be quite overwhelming, which is why the foodservice and the private label grocery industry stand to benefit from the trend. Sales of private label frozen desserts have grown steadily over the last couple of decades. In recent years, about two-thirds of consumers have come to accept that private label frozen desserts are equal in quality to name brand frozen desserts. This perception is based in reality, as private label frozen desserts have been on a steady rise in terms of quality over the past three decades. G.S. 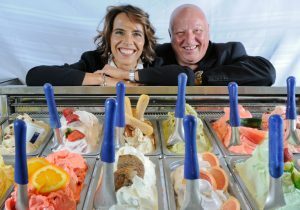 Gelato is proud to remain on the cutting edge of innovation, offering coconut milk-based frozen desserts for both foodservice and retail private label. These delicious new flavors are free from dairy, artificial ingredients, GMOs, and are vegan-friendly.